For use on all varieties of roses and flowers. Slow-release nitrogen for even, continuous feeding for up to 2 months. Sprinkle evenly onto soil surface and lightly rake into the top 1-3 inches for best results. Or when planting, mix in with soil used to back fill hole. See package for specific rates. 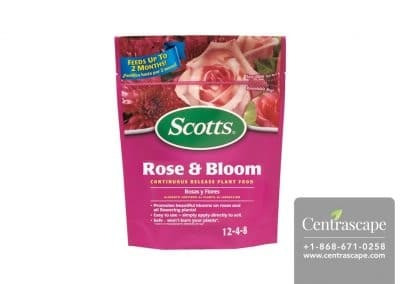 Apply every 2 months during the growing season to encourage bigger, more beautiful blooms.